After many years of anxiety and waiting, deputy president William Ruto will now graduate with Doctor of philosophy degree from one of the most prestigious university in Kenya. In 1990 the Deputy President graduated with a degree in Botany and Zoology from UoN and a subsequent masters degree in Environmental Science in 2011. The Dp has been pursuing the doctorate, the highest degree awarded by a university, since August 2012. In 2016 June, Ruto failed to have his thesis admitted by a team of examiners when he presented it to the School of Biological Sciences. His thesis report is on the impact of human activities on riparian reserve at Saiwa Swamp, Trans Nzoia County. The DP’s graduation on December 21 means that he will be referred to as Dr William Ruto. 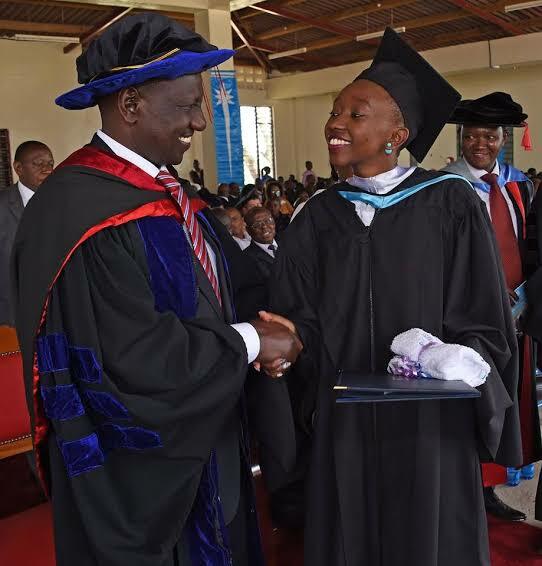 Ruto who is eyeing the 2022 presidential seat will graduate with PhDs alongside Victoria Ameoliza Gioto, Victor Muya Ndambuki, Cheronoh Fancy, Museleku Erastus Kiita, Jacob Kwamina Dodoo and Samso Samuel Ogallah.